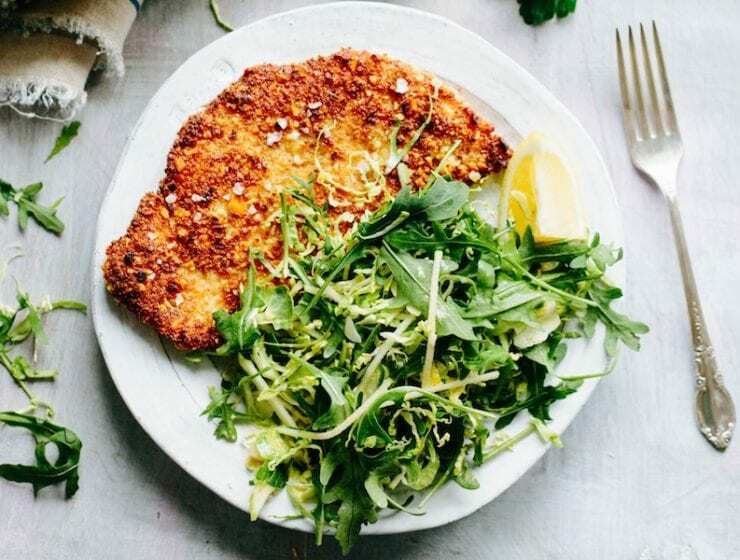 This easy recipe for Gluten Free Chicken Cutlets with Greens is a healthy and satisfying dinner idea you will love. 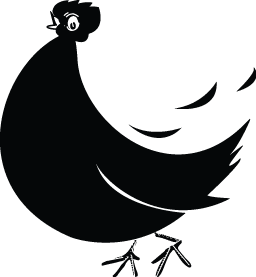 They’re flavored with Dijon mustard and coated with almonds, then pan fried to get an incredibly crispy crust that just so happens to be both gluten and dairy free. Serve them with a crisp + lemony apple, arugula and shaved Brussels sprout salad for a refreshing compliment to the crunchy, tender chicken. You don’t have to be on a gluten free diet to love this recipe. 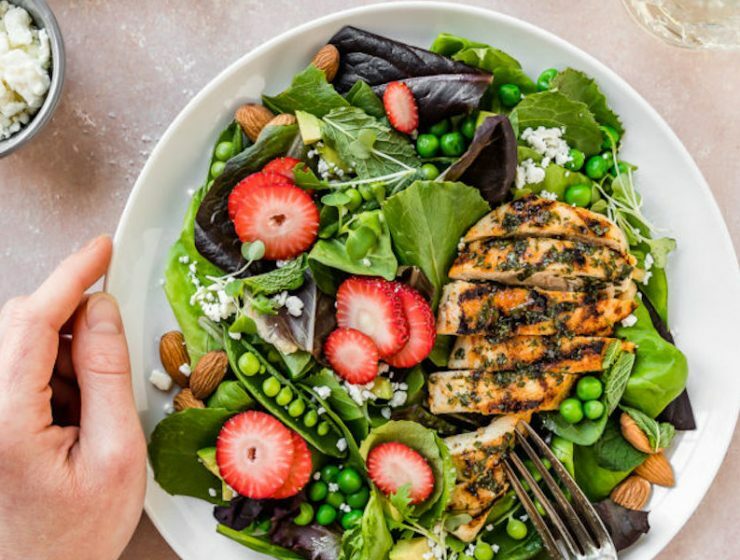 This isn’t your usual chicken salad! Easy homemade arugula pesto adds big flavor to this favorite chicken salad. 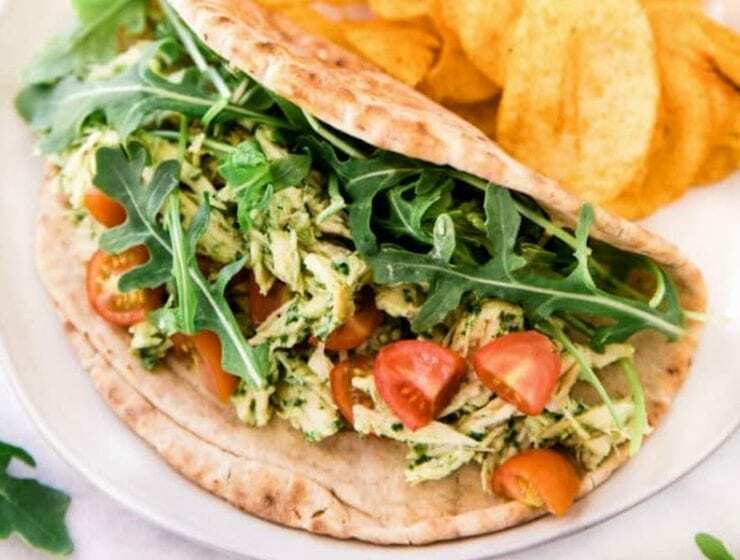 Layer Arugula Pesto Chicken Salad on sandwich rolls or stuff it in a pita with greens and sliced tomato for a delicious lunch. 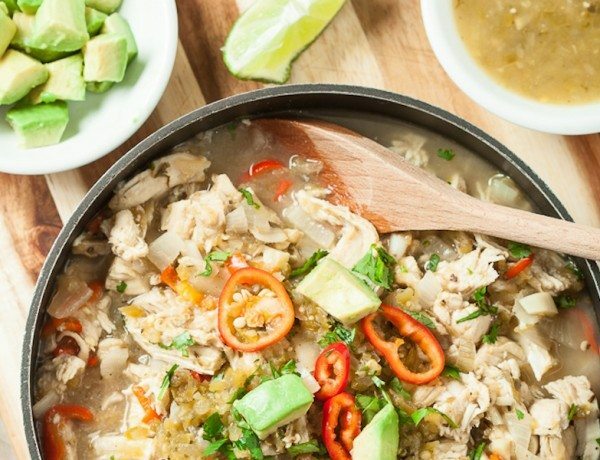 This salsa verde chicken is an easy slow cooker recipe with minimal preparation or ingredients. 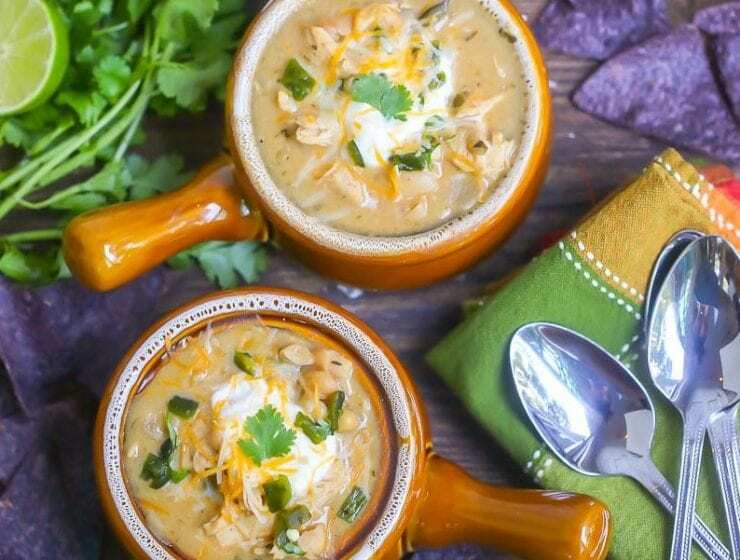 Made in your crockpot for easy clean-up and meal prepping. Do your hummus up! 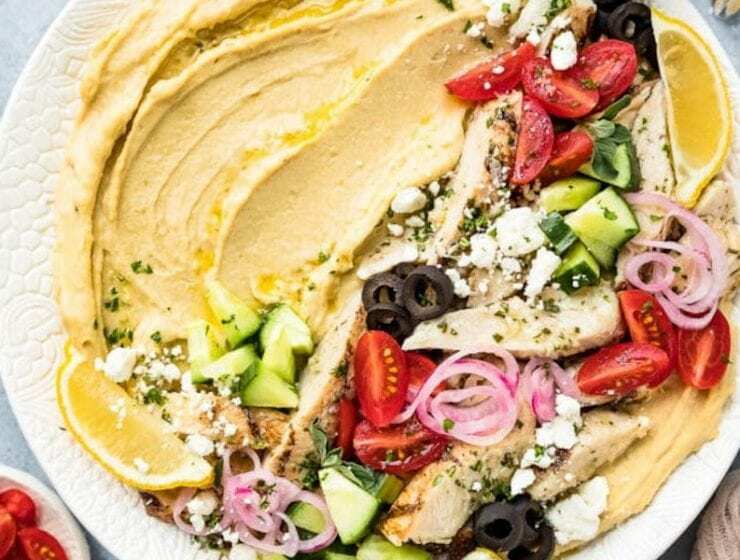 These quick and easy Loaded Hummus Bowls with Greek Chicken is packed with protein and colorful veggies. It makes for a meal full of flavor and nutritious ingredients. 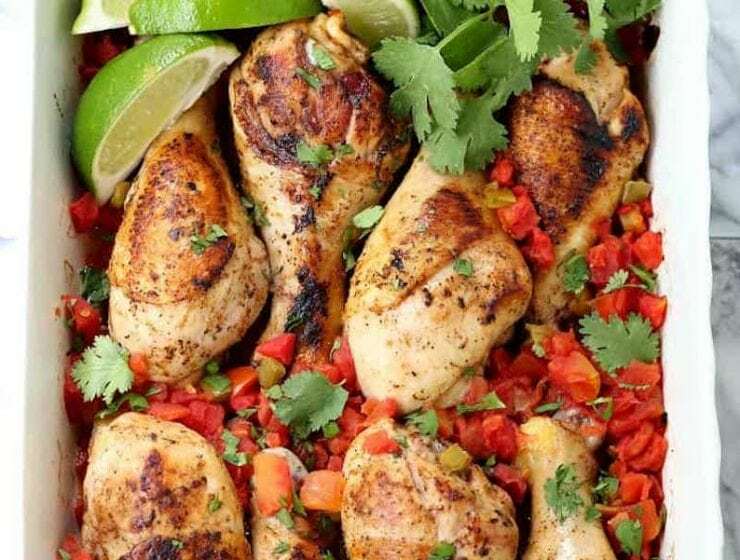 This Baked Fiesta Chicken is about to be a new favorite dinner. 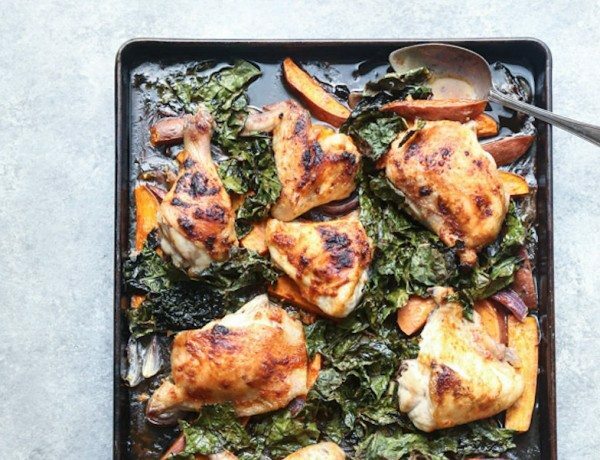 It is so easy, just throw everything into a baking dish and get it in the oven. 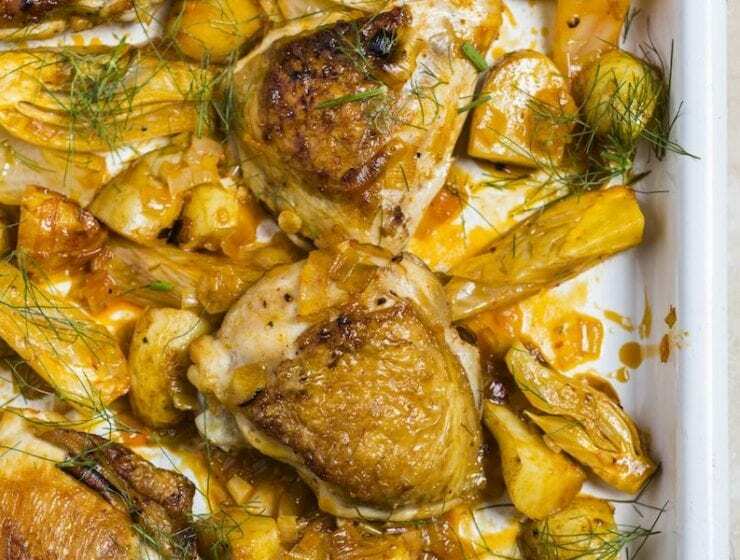 Crispy chicken skin, spicy harissa, lemon, leeks, fennel and some humble and comforting potatoes. That’s all it takes to make an easy, weeknight meal that will satisfy. Ready for the crispiest, lemon pepper chicken thighs and potatoes you’ve ever had? Read on. Check out this simplified version of Indian chicken pilaf or pulao. 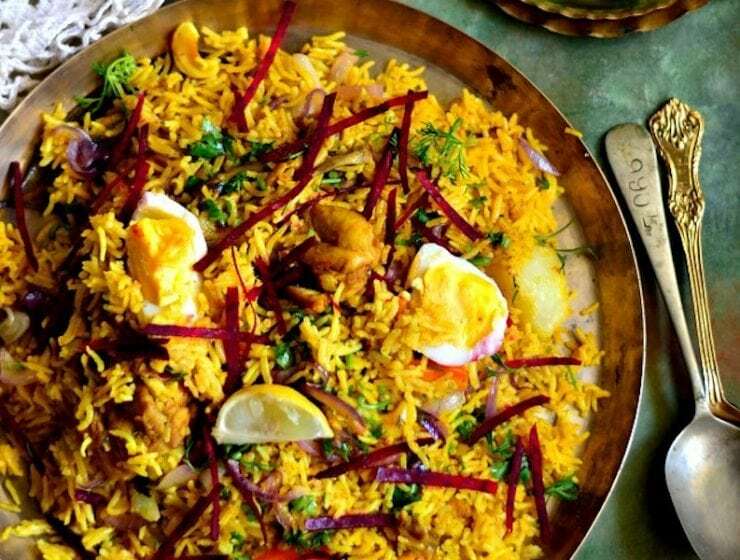 It is flavorful, aromatic, comforting and filled with chicken biryani. 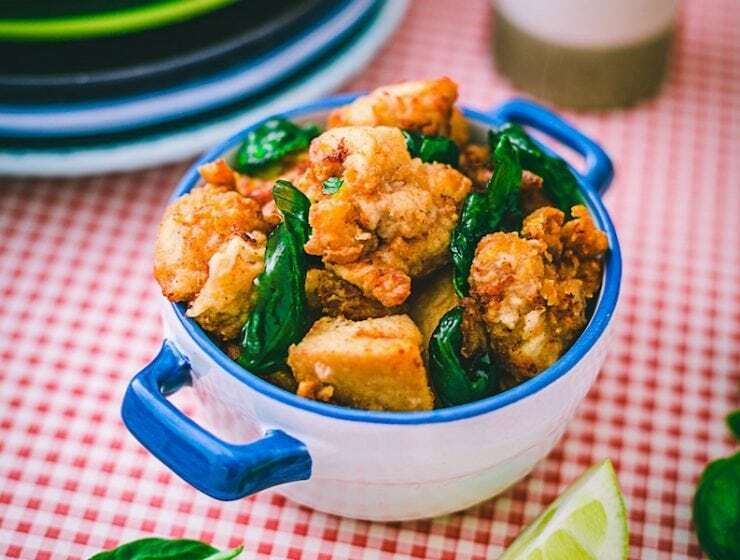 This crispy, juicy, finger-licking five spice fried chicken is easy to make and so much better than any fast food fried chicken. 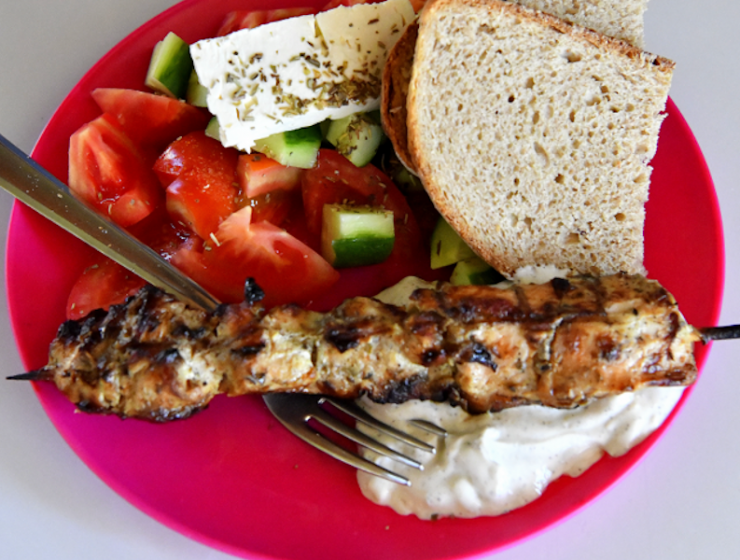 A Grilled Souvlaki Recipe from an undiscovered Greek island paradise called Karpathos. 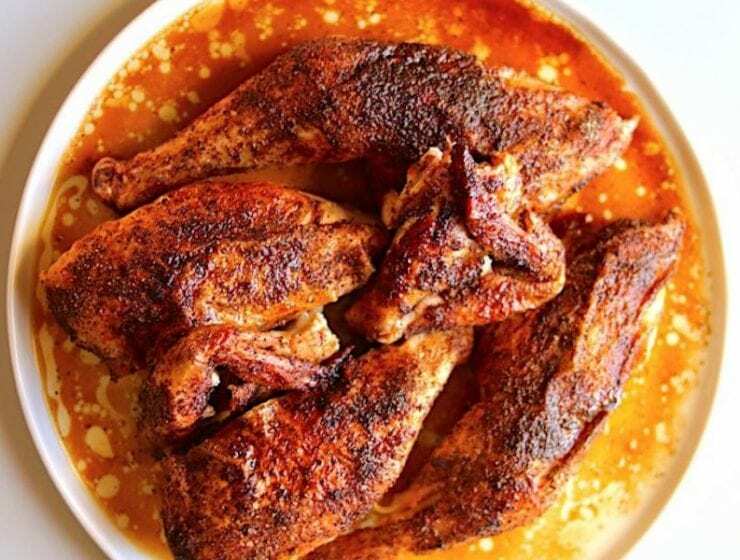 This saucy Applesauce Grilled Chicken is so tempting. It’s easy, tender and full of flavor. 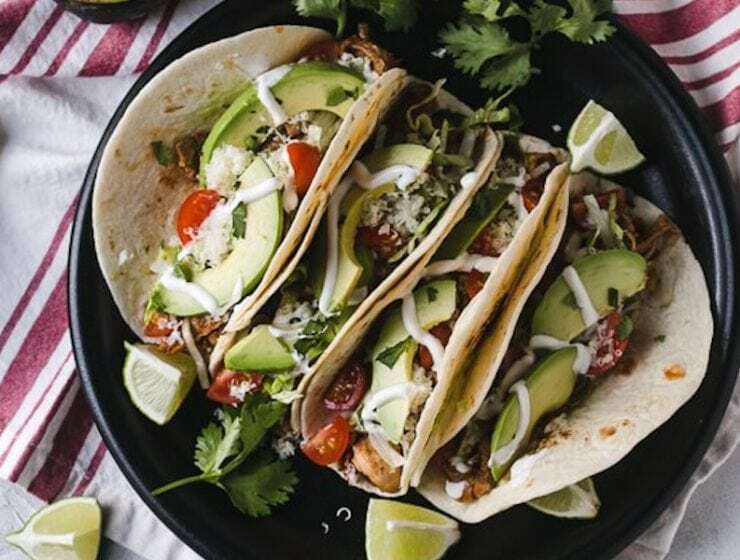 These easy Instant Pot chicken tacos use the freezer and a pressure cooker to be a delicious dump-and-go meal that is perfect for Taco Tuesday. 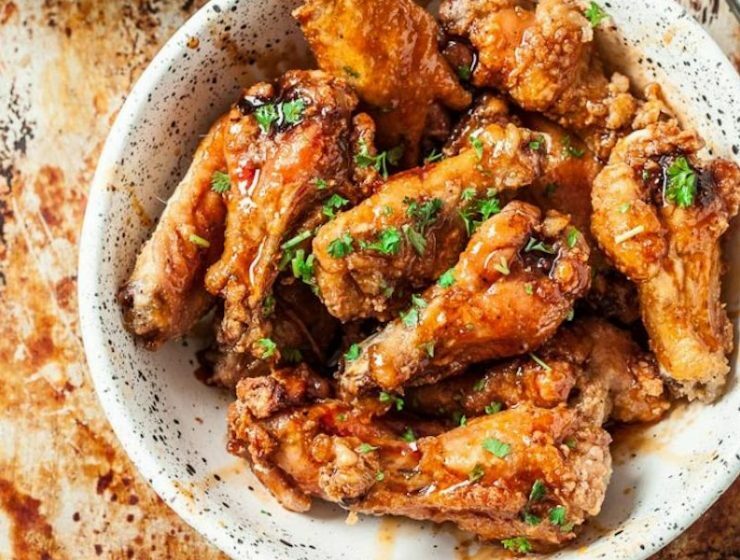 The sauce that coats these crispy wings is a lovely combination of maple syrup, whiskey, vinegar, gochujang, and brown sugar. Sweet, spicy and interesting. All the flavors of a classic Margherita pizza in cheesy pasta form. 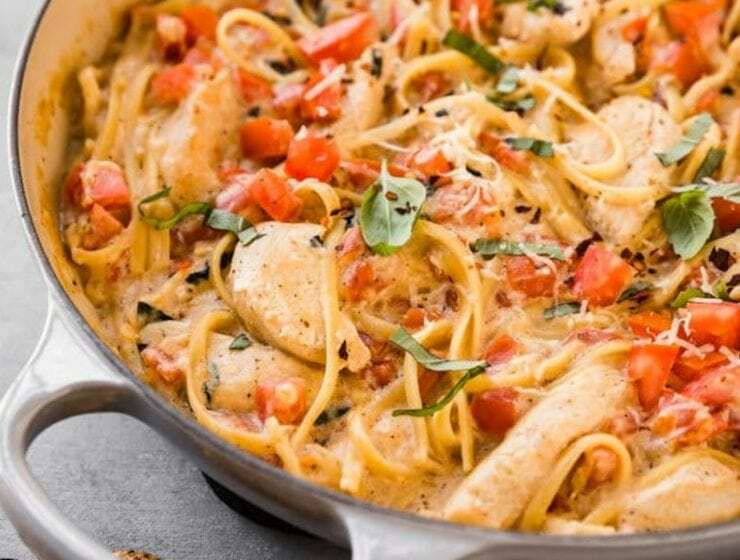 This One Pot Chicken Margherita Pasta with ricotta is loaded with tender chicken, ripe tomatoes, garlic, and basil in a creamy-dreamy ricotta parmesan sauce. 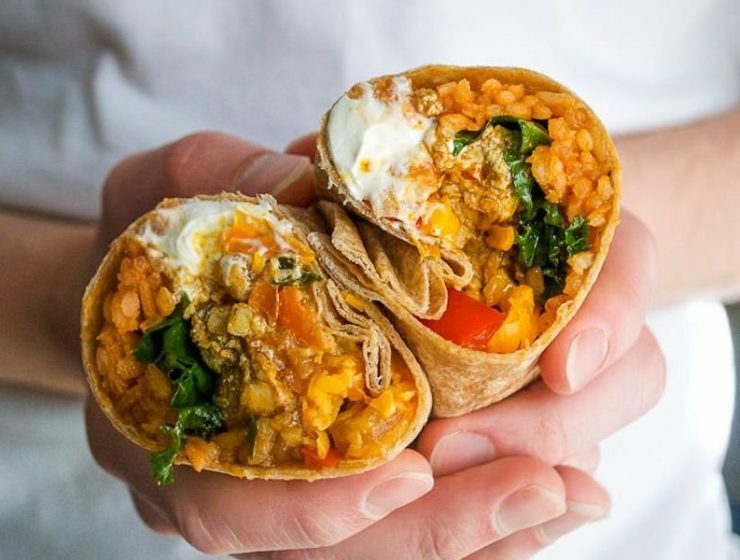 It’s easy to make and even easier to devour! Football season is here! 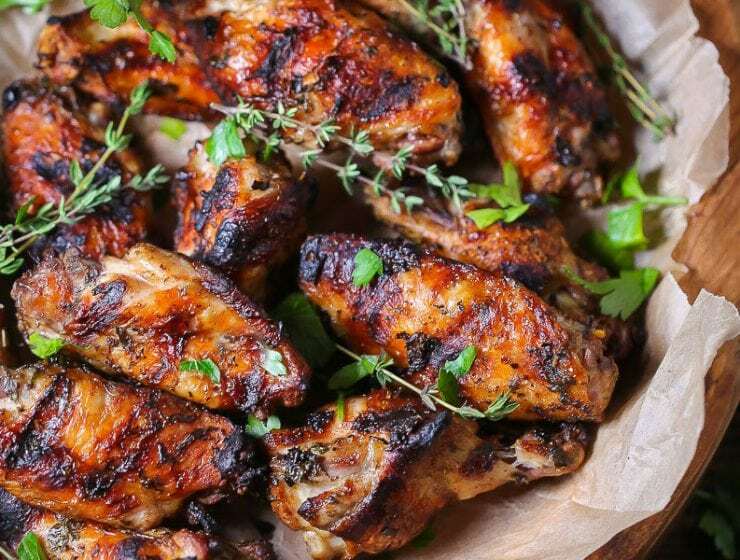 Celebrate with these grilled garlic chicken wings featuring fresh summer herbs. A new favorite for a packed or picnic lunch. 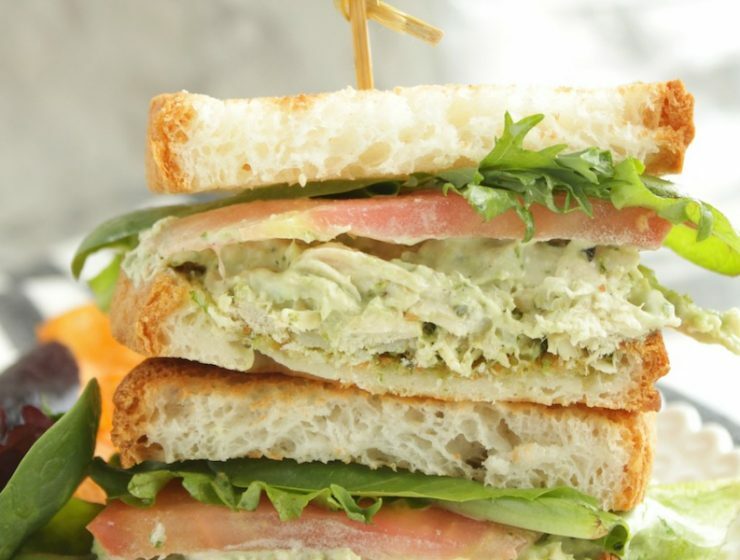 Switch up your traditional chicken salad with by adding some delicious pesto. 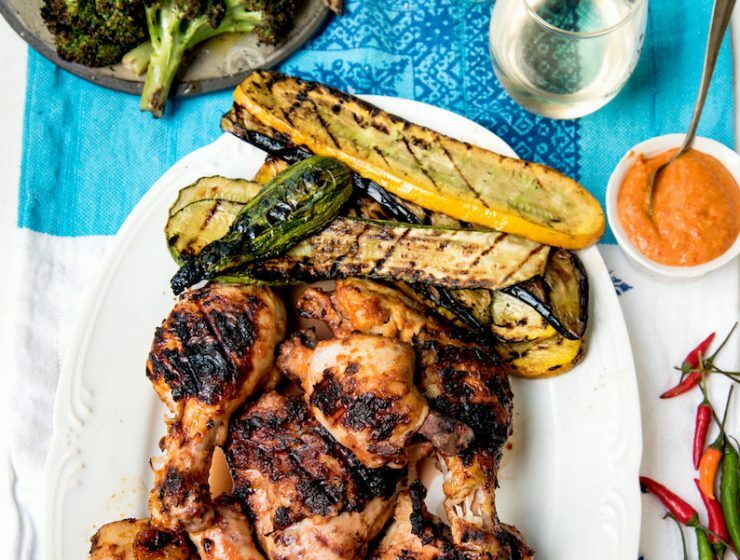 These Tomato and Apple Cider Vinegar BBQ Chicken Kabobs and Maple-Apple Cider Vinegar Slaw make for a delicious, yet light, meal. 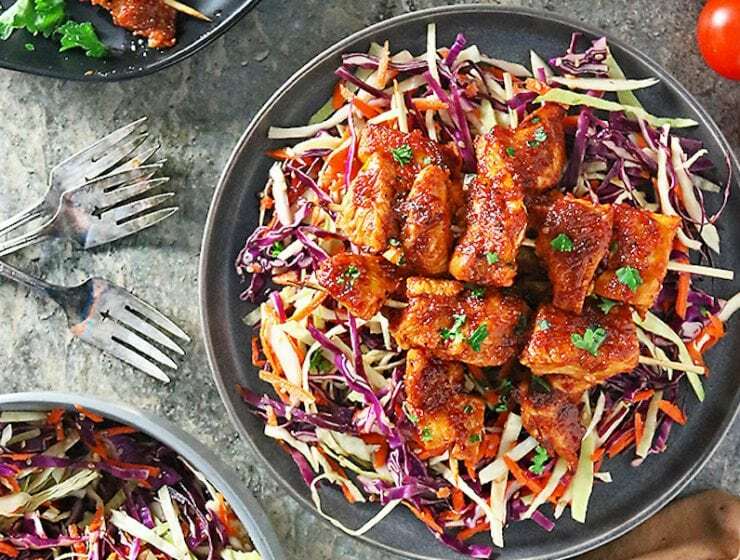 The kabobs are slathered with a zesty Tomato and Apple Cider Vinegar BBQ Sauce and served over a Cabbage Slaw that had been tossed with a light Maple Apple Cider Vinegar Dressing. 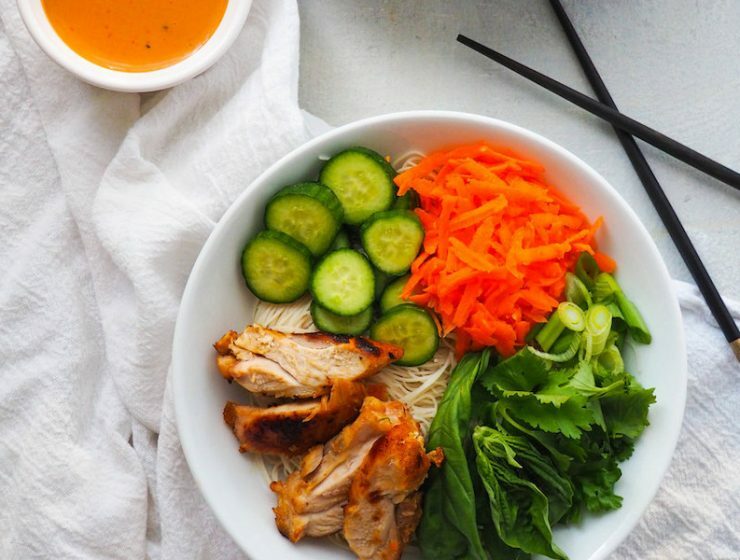 This easy lemongrass chicken and noodle bowl is quick to throw together, top with peanut sauce and finish with lots of fresh, bright veggies. 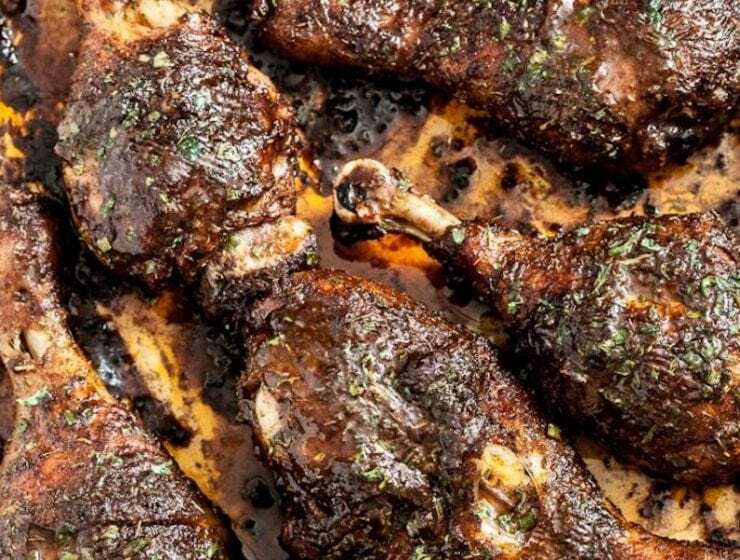 This flavorful 4-ingredient BBQ pulled chicken is great for busy fall weeknights. 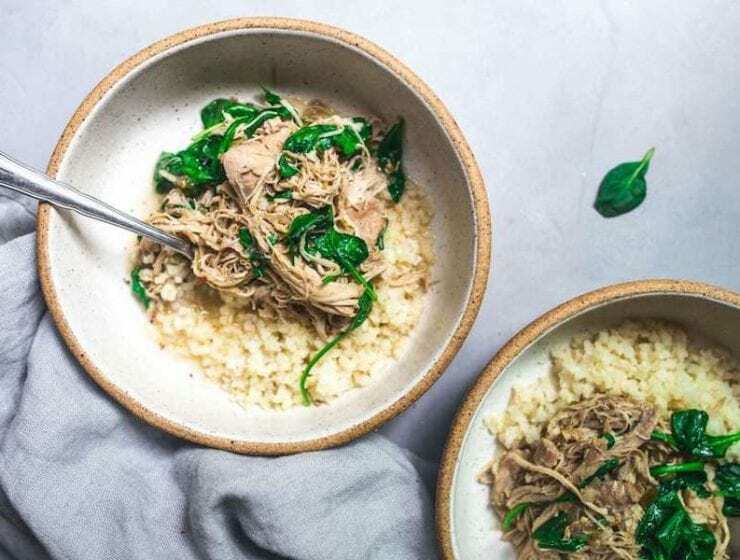 Make it low and slow in the slow cooker or fast and furious in the Instant Pot. 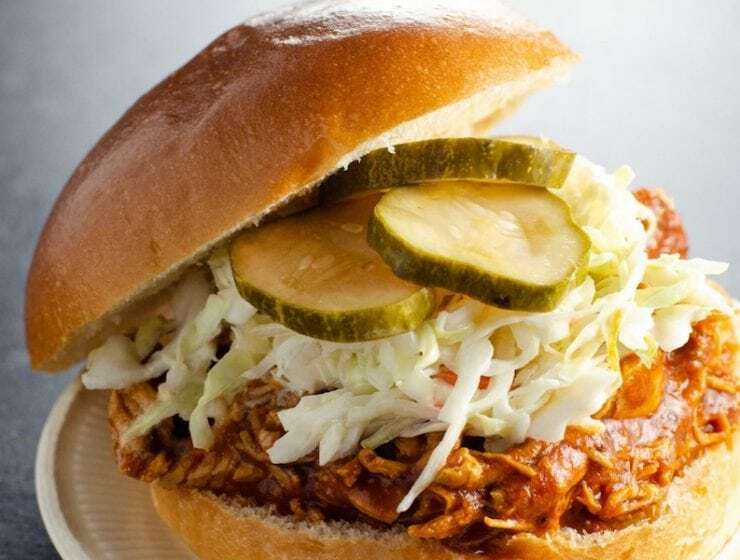 Serve on brioche buns with coleslaw and pickles or over a simple salad for a family-friendly meal. 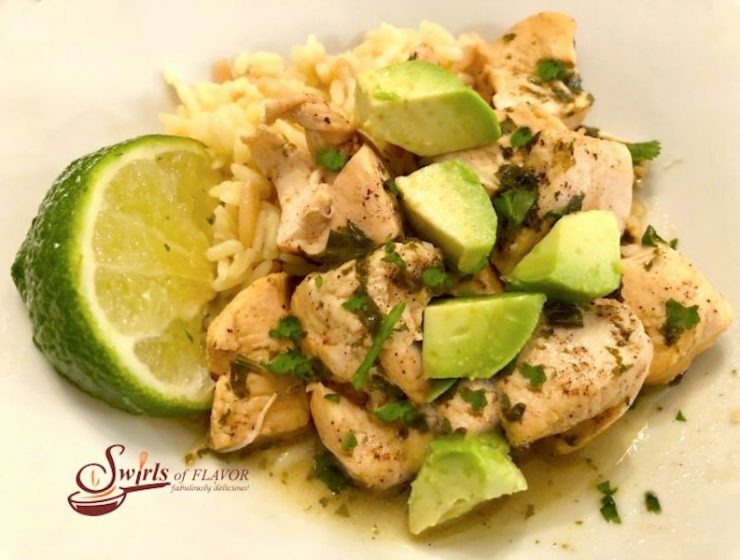 This Peruvian Grilled Chicken is packed with flavor and served with a creamy green sauce. 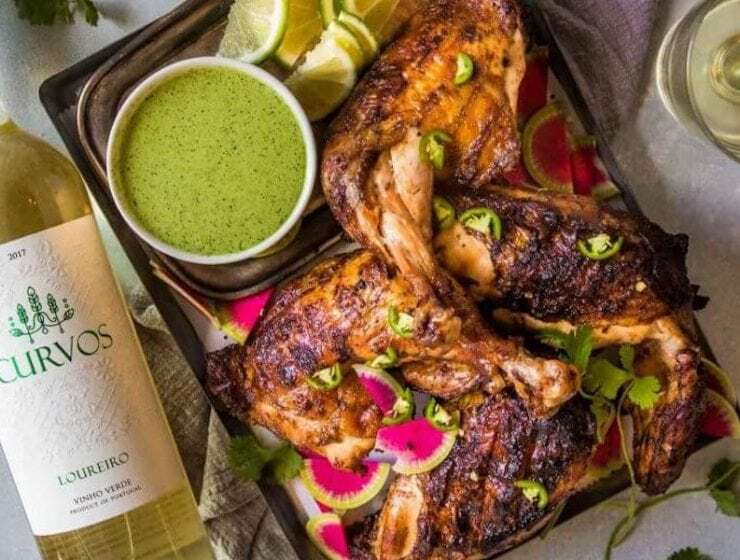 Add some international flair to your barbecue with this chicken recipe and a bottle of Portuguese Vinho Verde to pair. 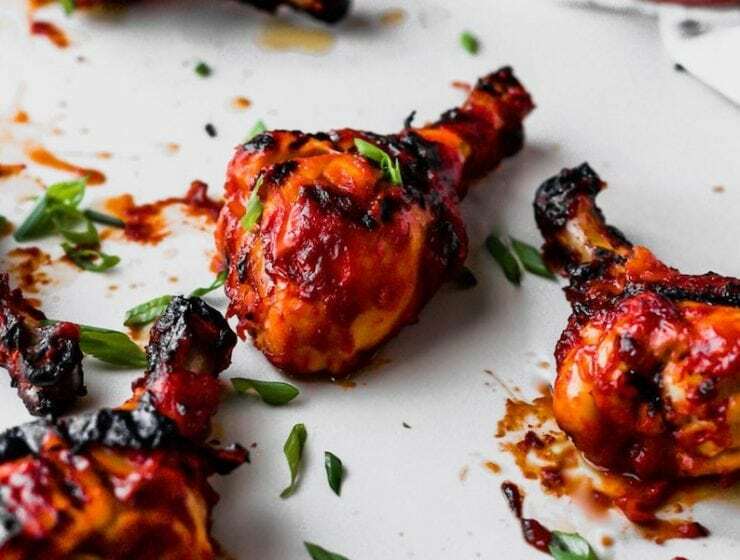 Put a little asian spin on a traditional American barbecue sauce, gochujang-maple sauce adds loads of flavor to your grilled chicken. 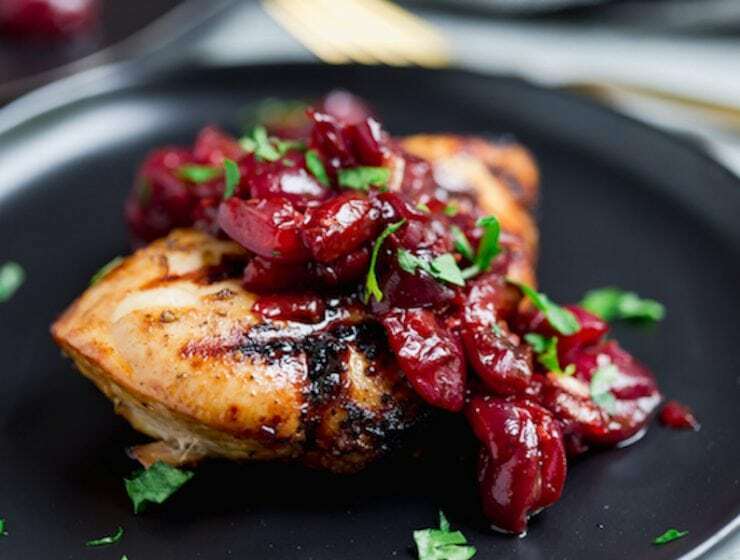 Serve your next grilled chicken with a delightful cherry-balsamic sauce that is so simple to make and so flavorful. 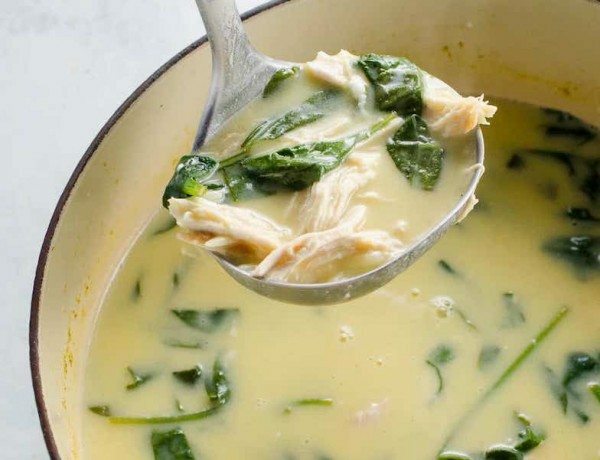 These chicken recipes are some of our new favorites. 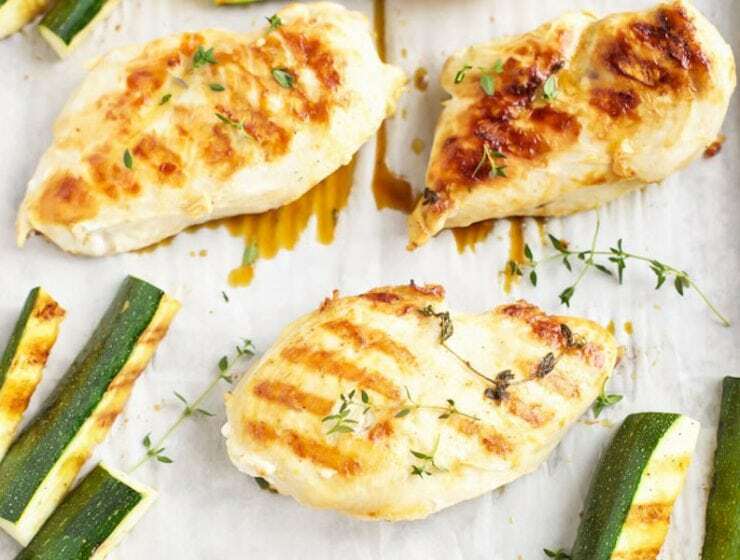 Switch up your menu to features these chicken dishes and get out of a poultry rut. 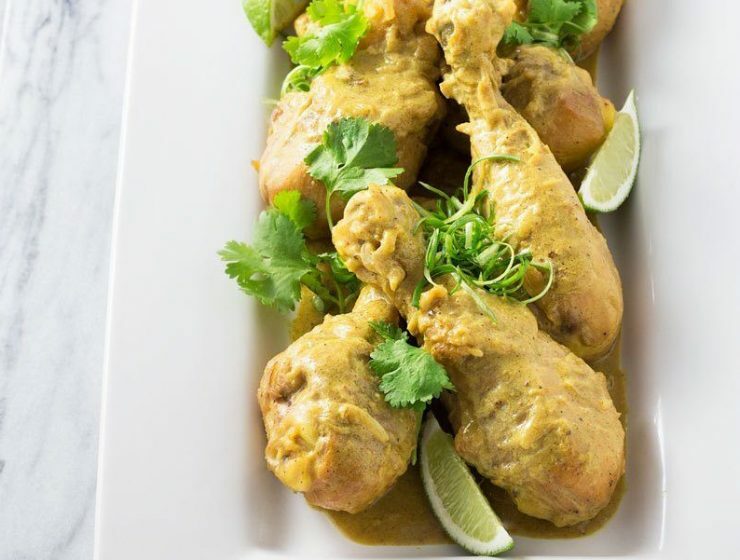 Asian-inspired coconut curry chicken legs are the perfect dish to warm you from the inside out. Ginger, lemongrass and curry powder provide tons of flavor. 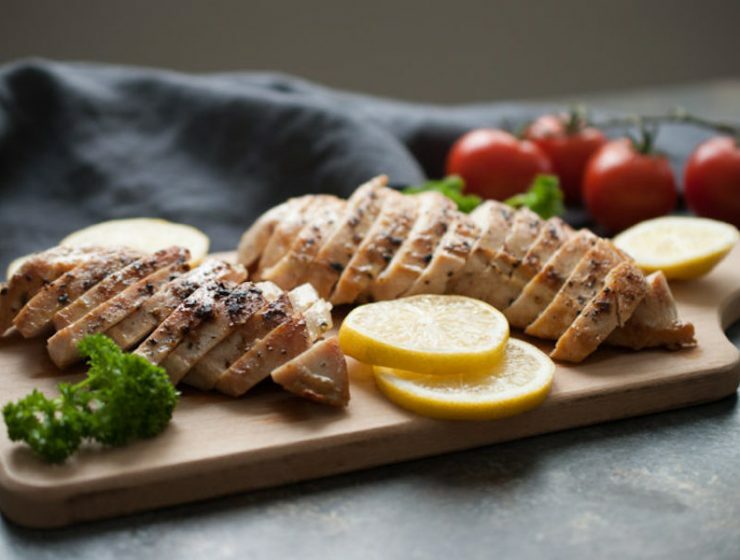 This lemon-thyme grilled chicken is all you need to host a successful cookout. 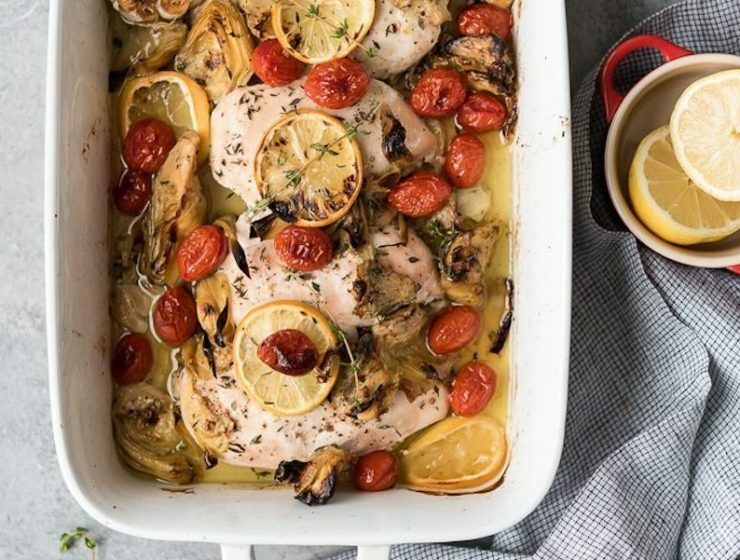 Marinating the chicken breast overnight in a lemon, olive oil, and thyme marinade makes them tender and flavorful. 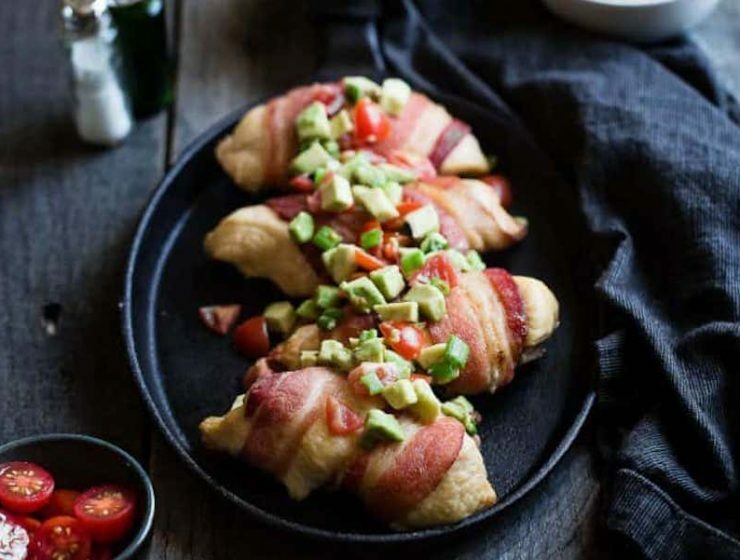 Quick, easy and so delicious this bacon-wrapped chicken takes boring chicken breasts and makes them exciting with an avocado salsa. 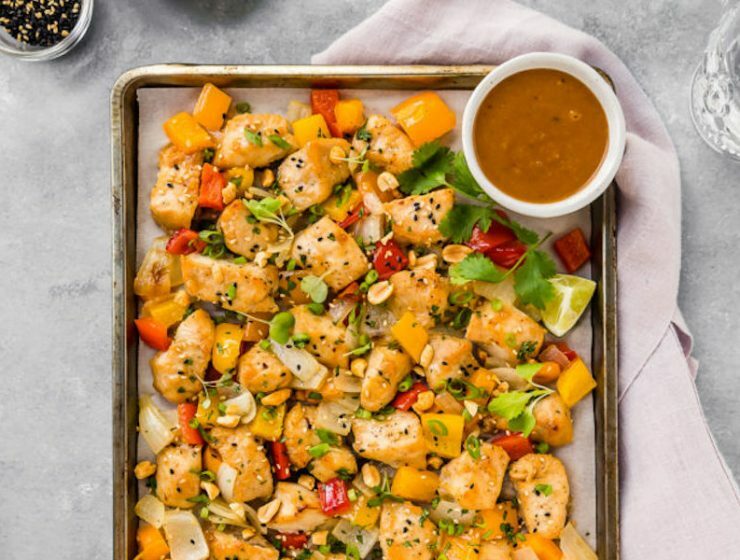 This Sheet Pan Peanut Chicken with onions and peppers is easy, delicious and can be ready in 35 minutes or less. 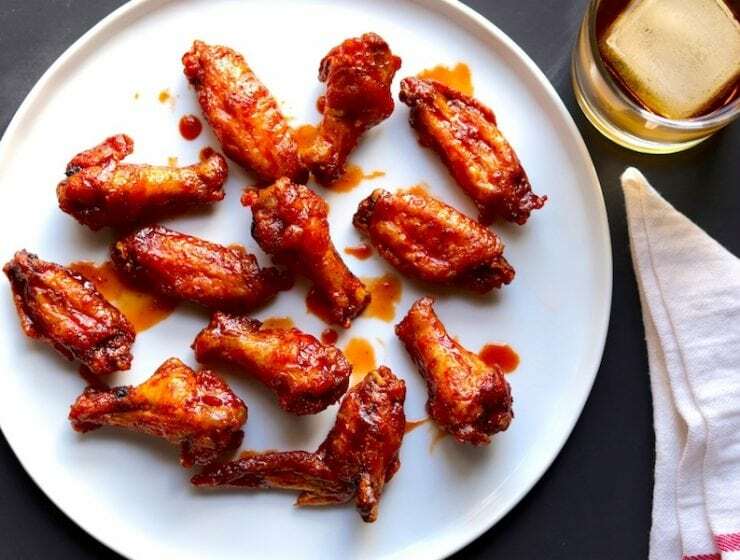 This recipe for Sweet and Spicy Baked Sriracha Buffalo Chicken Wings is stunningly crispy and flavorful without being fried. 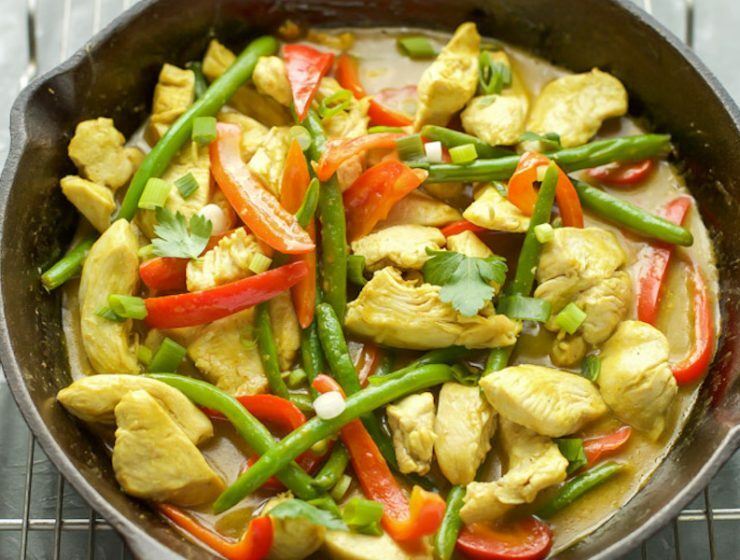 Ready in just 30 minutes, this Coconut Chicken Curry is full of creamy curry flavor and loaded with red peppers and green beans. 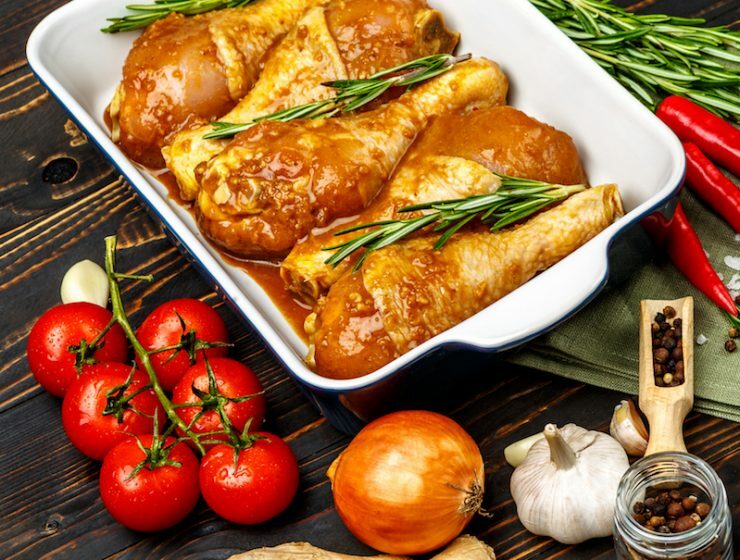 Jazz up your pizza or taco night with an Indian inspired chicken dish or just go traditional and pair with rice or rotis! 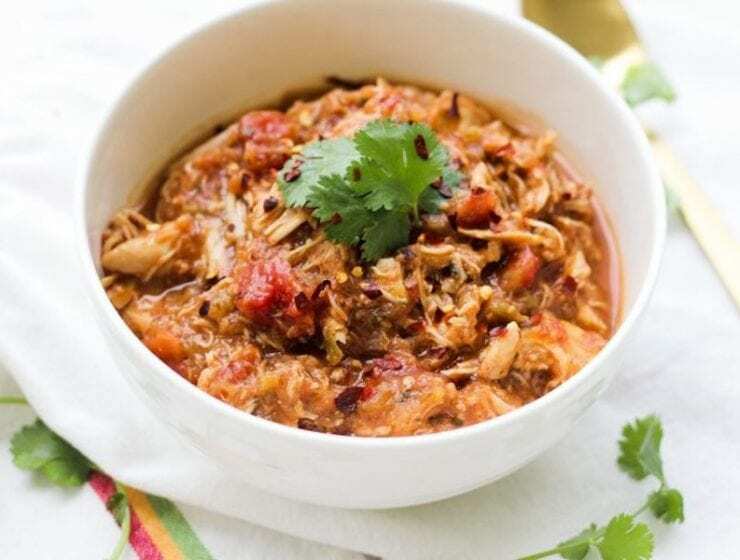 Served over rice or wrapped up in tortillas this flavorful chili chicken is easy to make and we so look forward to eating it whenever it’s on our menu at home. 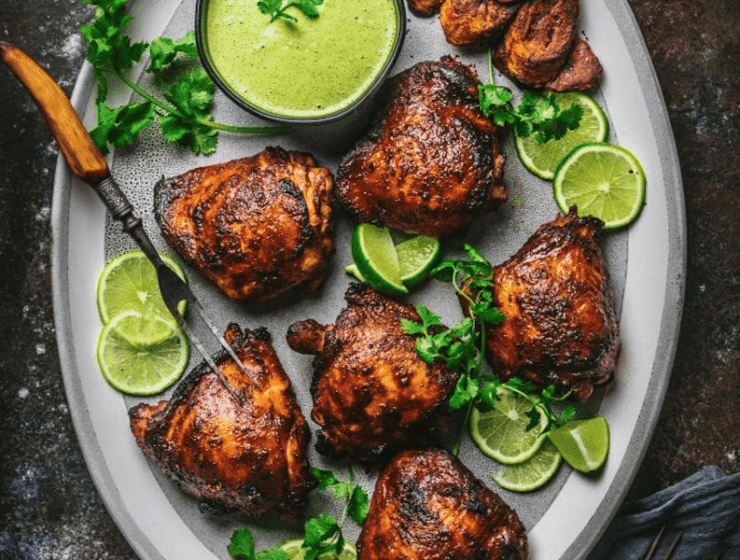 Have a flavorful dinner on the table in just 15 minutes with this easy cilantro lime chicken pressure cooked in an Instant Pot. 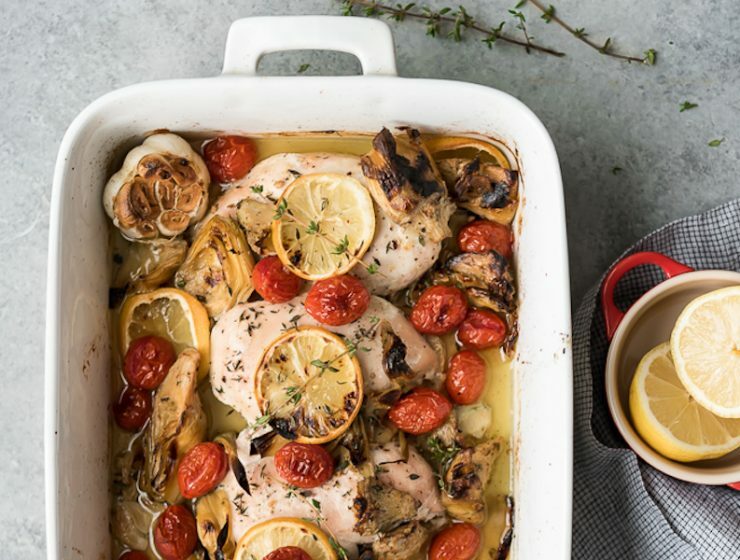 This artichoke lemon chicken recipe is extra special thanks to garlic and cherry tomatoes. A colorful, easy weeknight dish. Four ingredeints is all it takes to have delicious, flavorful, juicy lemon-pepper chicken in minutes. 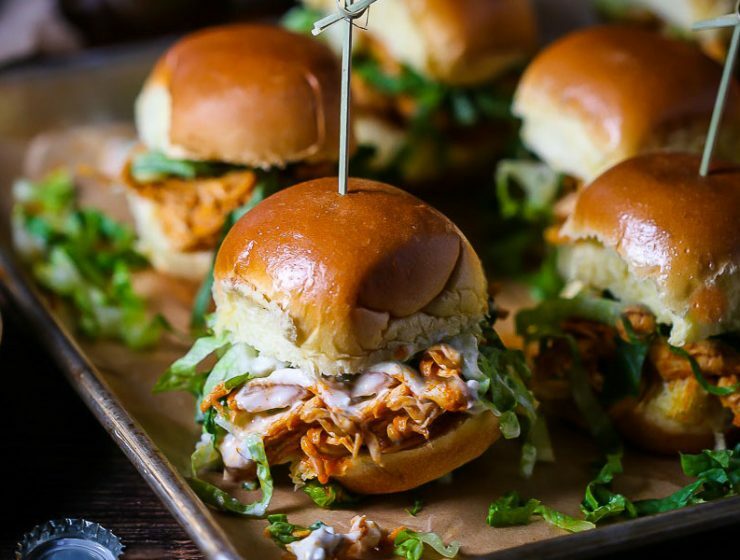 All of the favorite flavors of buffalo chicken wings come together on a small brioche bun to make delicious slider sandwiches. 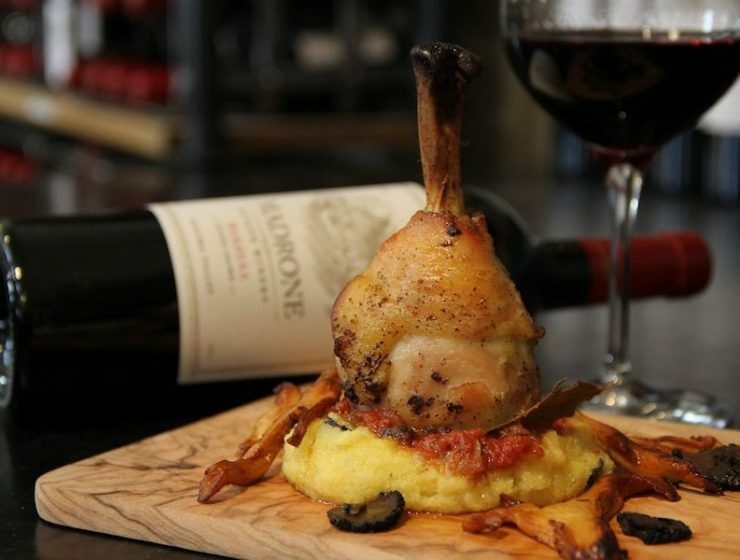 Chef Sam Badolato’s Hunter’s Chicken is all about the bounty of the Sonoma Valley, one of the most beautiful and productive wine areas in California. 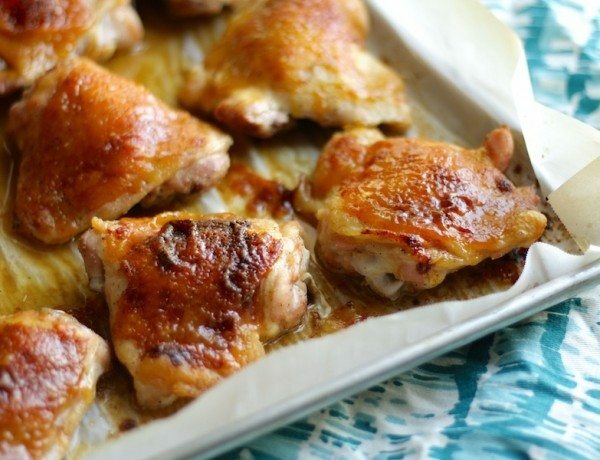 Make your perfect blend of honey mustard sauce, slather it onto chicken thighs and bake for 25 minutes. That’s it. 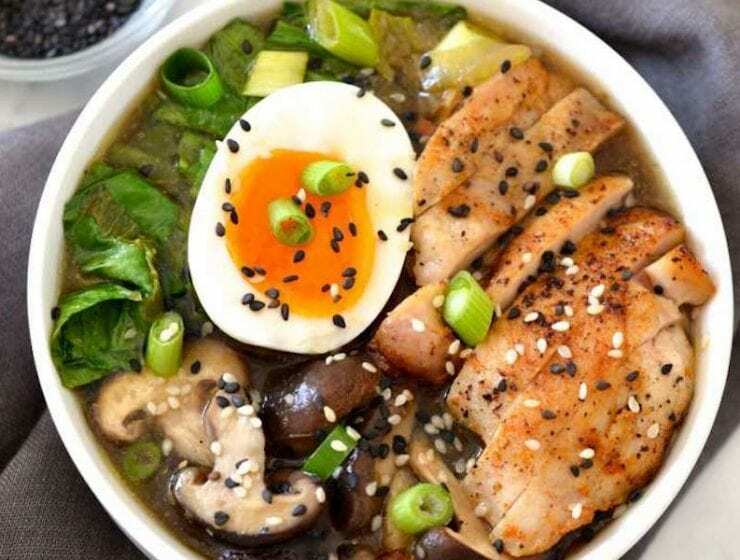 That’s all it takes to make a totally delicious main protein. 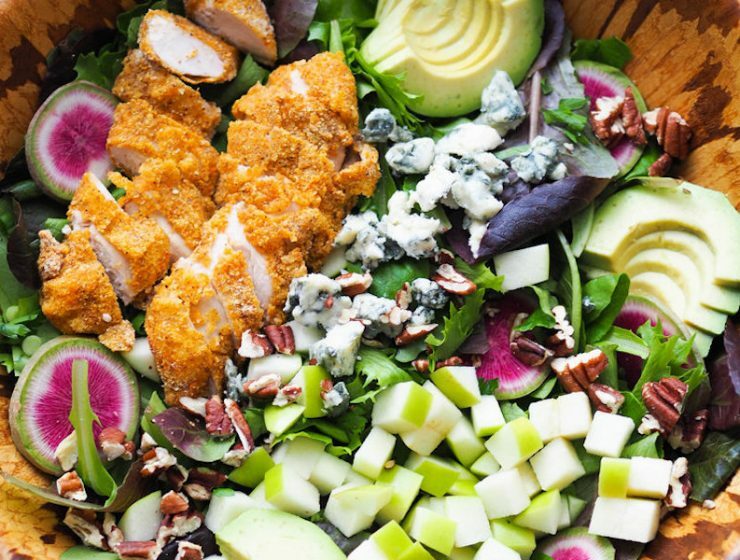 Topped with baked crispy cornmeal chicken, this salad is a beautiful meal with great toppings that hit all the right spots. 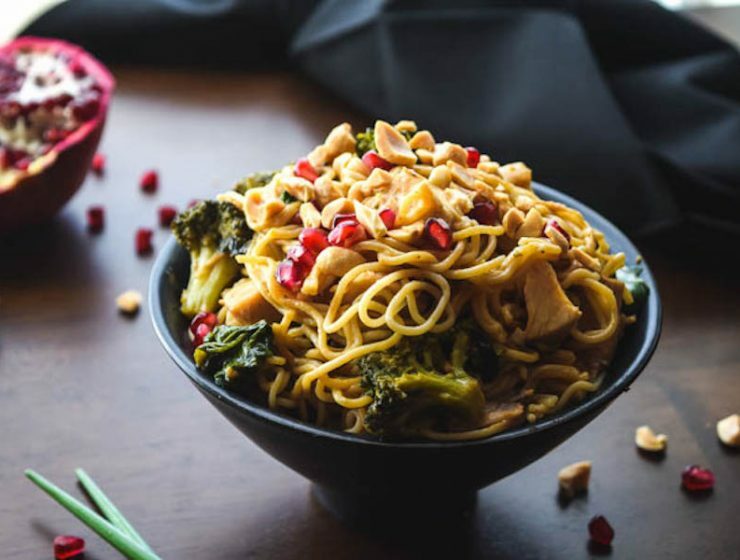 This spicy tahini chicken stir-fry is served with ramen noodles and topped with peanuts and pomegranate arils for great crunch. A quick meal that will satisfy. 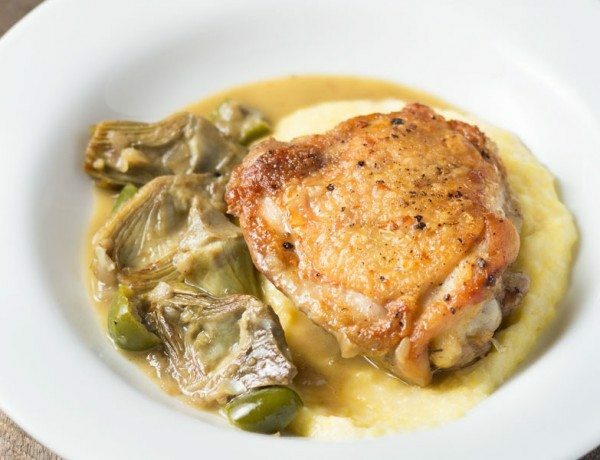 Braised chicken thighs and baby artichokes over polenta make for a warm and comforting dish perfect for these cool months. 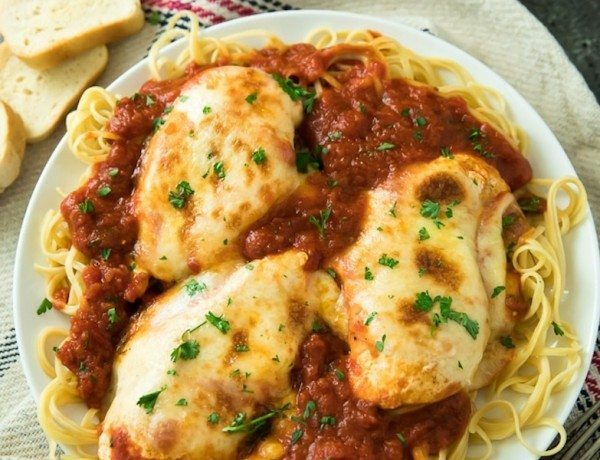 Introducing the mozzarella chicken skillet. You can’t go wrong with this hearty, warm, cheese-loaded dinner that can be ready in just 15 minutes. 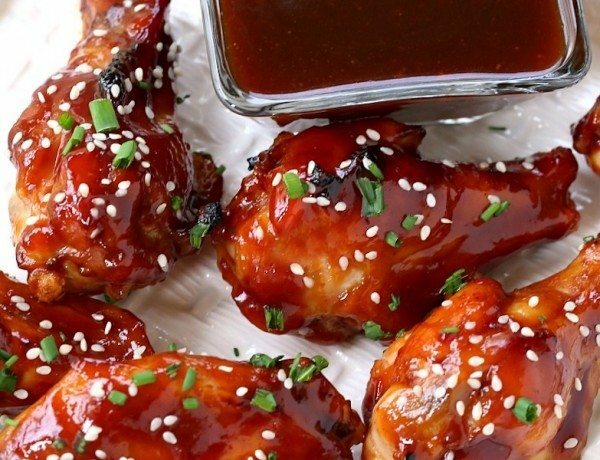 These baked soy sauce chicken wings are coated in a sticky, sweet and salty sauce and makes for some finger-licking flavor. 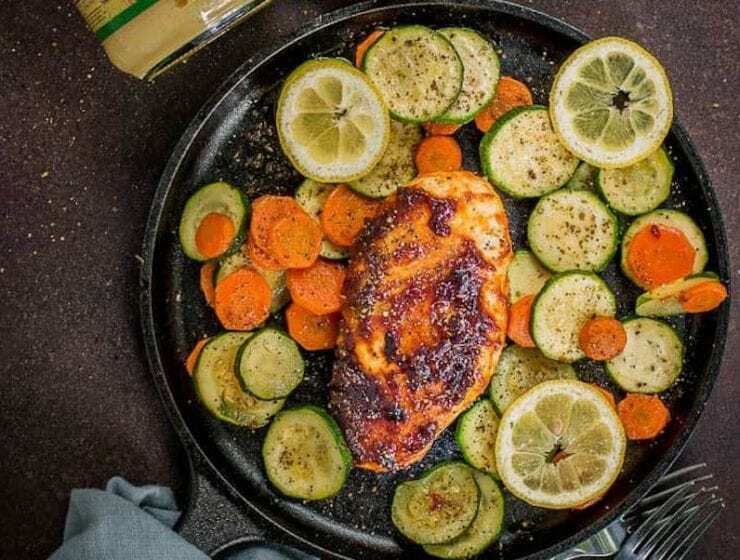 Perfect for busy weeknights, this one-pan salsa verde chicken is a breeze to make and full of flavor. 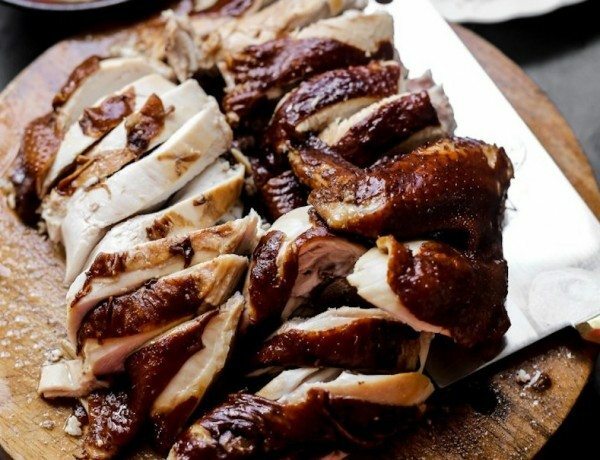 This easy poached Chinese soy sauce chicken recipe is so flavorful, juicy and tender. 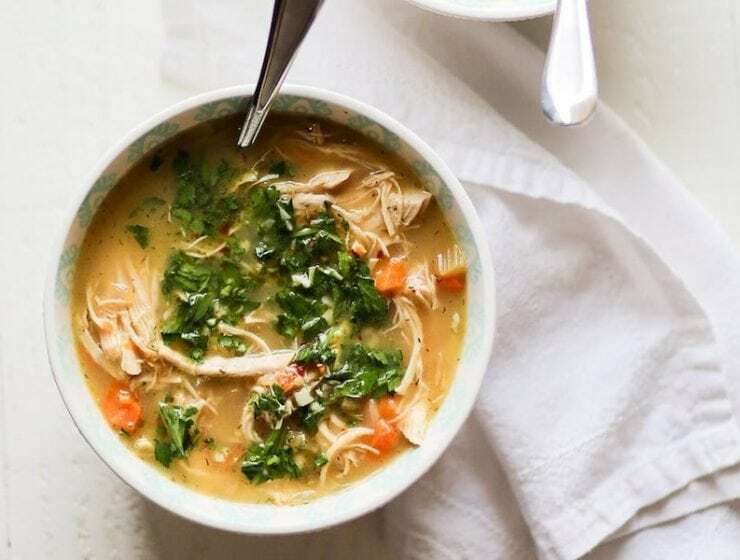 It’s the perfect recipe to switch up your usual chicken routine. 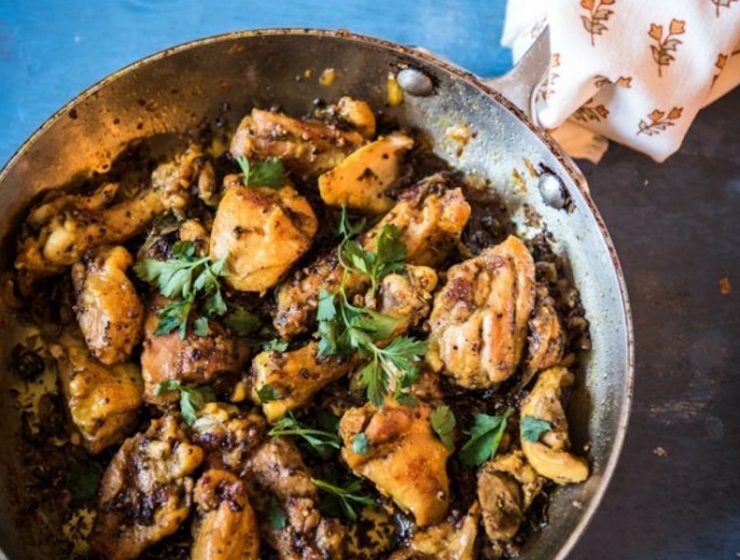 If you’re looking for a new go-to weeknight chicken recipe, let this easy sheet pan curry chicken be it. It even comes with a serving of veggies thanks to the kale. 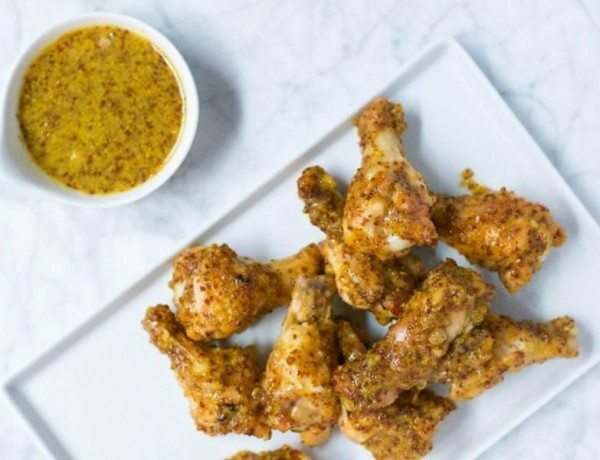 You’ll love how easy these Baked Honey Mustard Wings are to make. 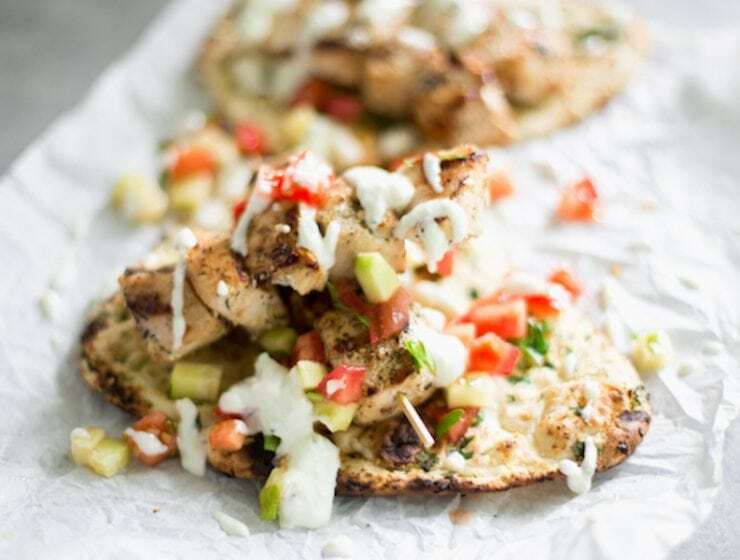 Look no further for the perfect game day chicken appetizer. 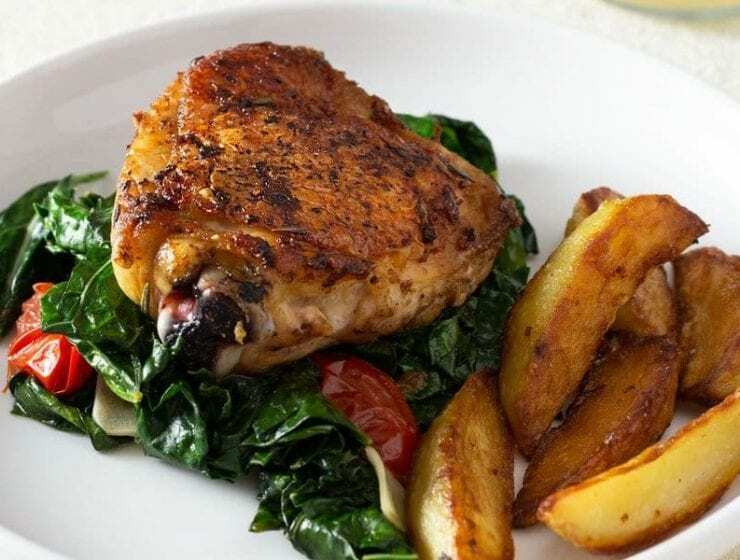 Let dinner be easy tonight with this one-pan chicken and potatoes baked with bacon and served with an herb sauce. 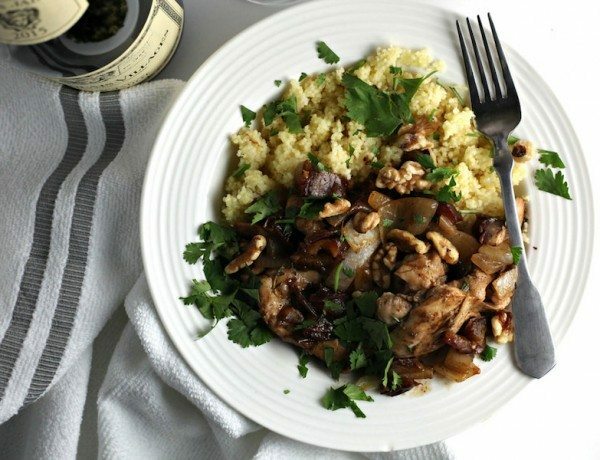 A perfect dish for the coming fall, this Mediterranean braised chicken is made with dates and cherries and served with a perfectly fruity Beaujolais red wine.